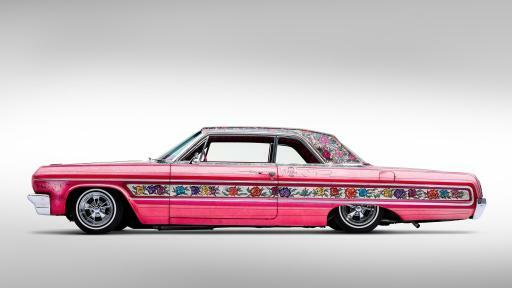 Gypsy Rose is a 1964 Chevrolet Impala designed to go “low and slow” when it cruised East LA in the 1970s. It was known as one of the most extravagantly painted lowriders of the period, landing it a spot in the opening credits of the 1970s sitcom “Chico and the Man” and on the cover of Lowrider Magazine in 1980. 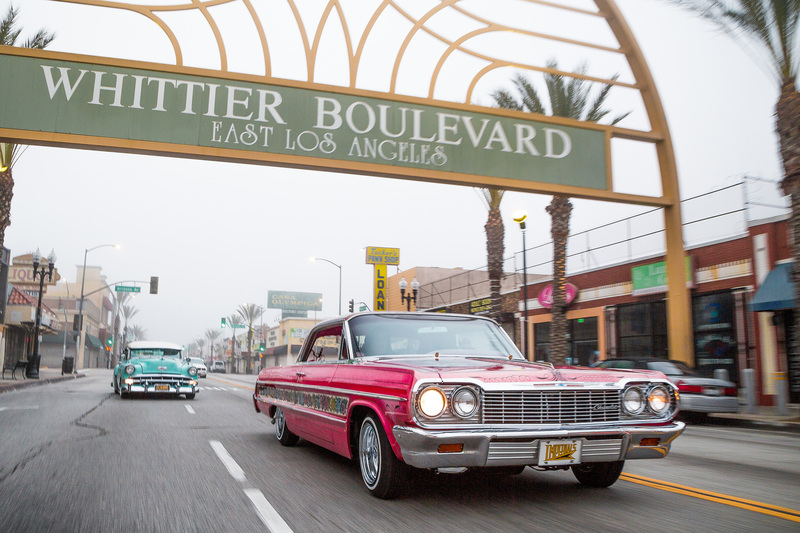 “You’re only going to find certain iconic cars that are still around. 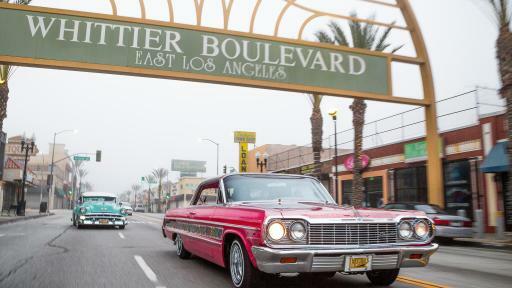 That was one of them, and I think that was our foundation, our cornerstone of all lowriding,” said Joe Ray, Editor of Lowrider Magazine. To learn more about the Gypsy Rose, click here. The McGee Roadster is a hot rod based on a 1932 Ford V8 Roadster. It was built by Bob McGee, a soldier, who upon returning from the war, attended and played football for the University of Southern California. 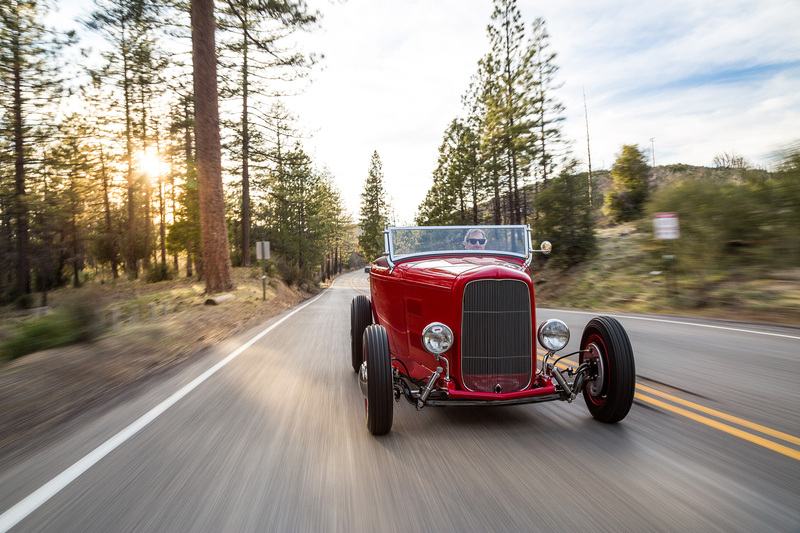 McGee raced the car on the dry lakebeds of California and used the car to promote hot rod safety. 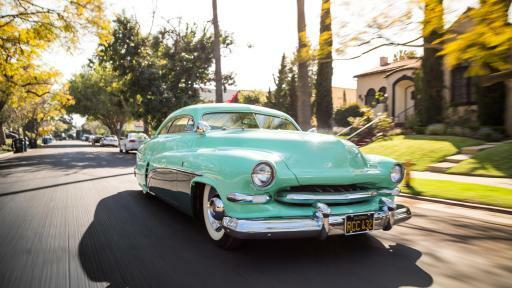 The iconic car was featured on the cover of Hot Rod Magazine in 1948. 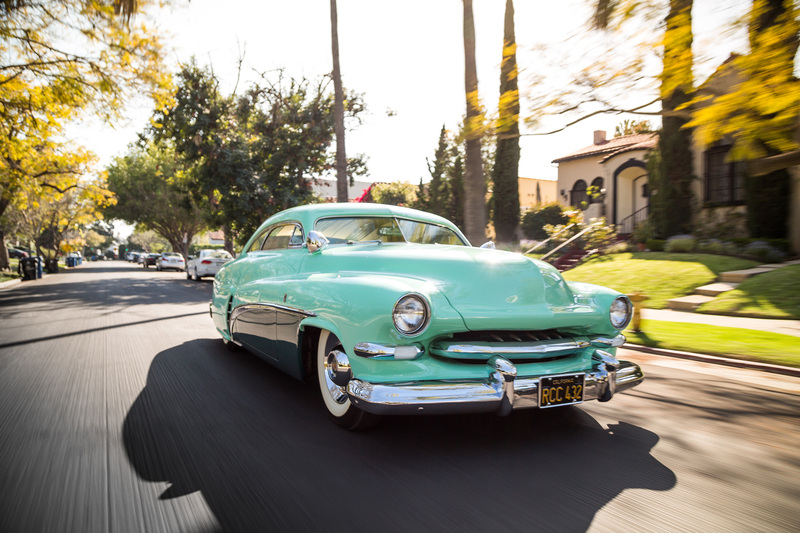 “Hotrodding is something so important to our American heritage, and it was almost forgotten. 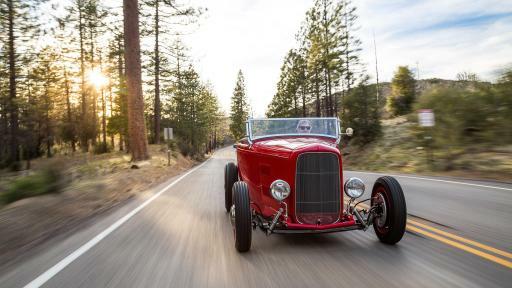 This car exemplifies the pinnacle of that,” said Bruce Meyer, owner of the McGee Roadster and founding chairman of the Petersen Automotive Museum in Los Angeles, California. 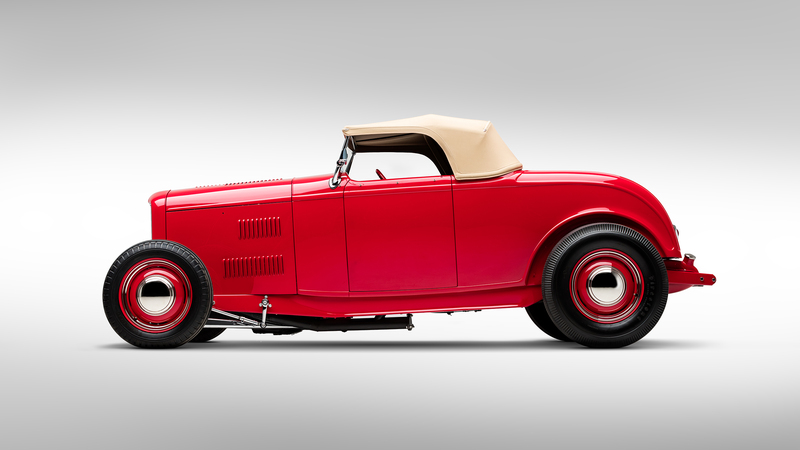 To learn more about the McGee Roadster, click here. 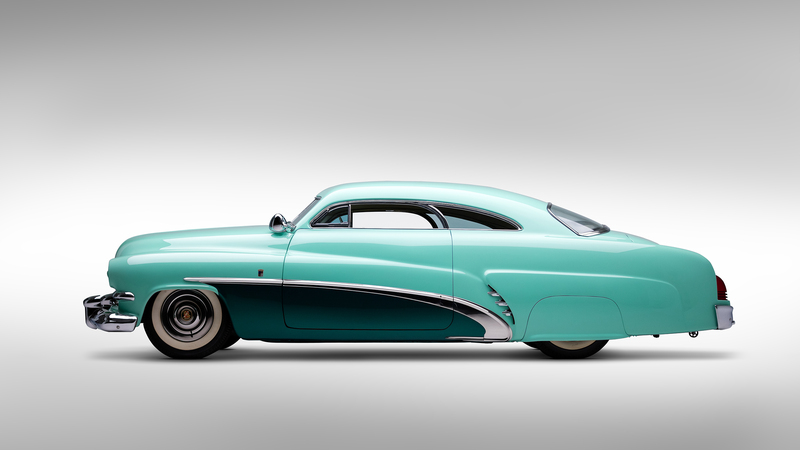 The Hirohata Merc is a 1951 Mercury Coupe that was purchased by Bob Hirohata and extensively customized by master craftsmen Sam and George Barris at their shop in Lynwood, California, in 1952. It was striped by Von Dutch and featured modified design elements from Buick, Cadillac, Chevrolet, Ford and Lincoln. Under Hirohata’s ownership, it was driven cross-country from Los Angeles to Indianapolis and on to Detroit and back. The car collected more than 150 trophies during the first several years it was shown. 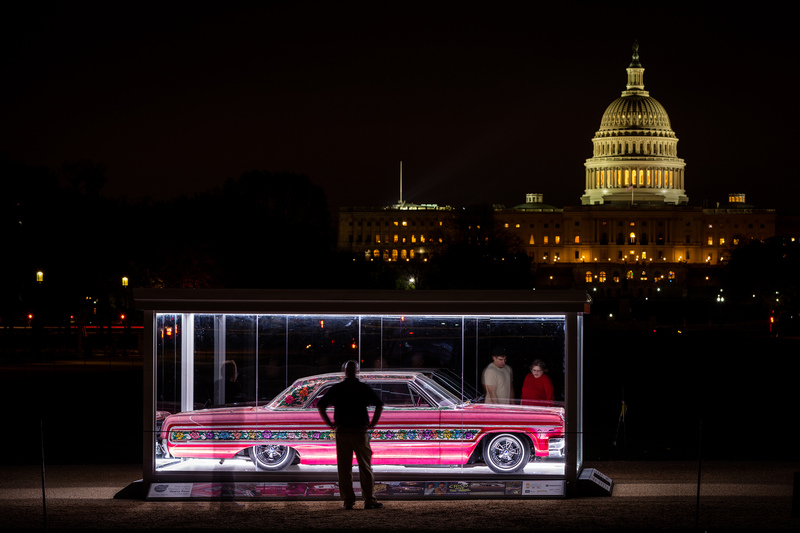 In 1959, at the age of 16, Jim McNiel purchased it from a used car lot for $500. “The Hirohata Merc really isn’t mine, it’s had an effect on a lot of people’s lives. When they come to see it, a lot of them, they just break down. 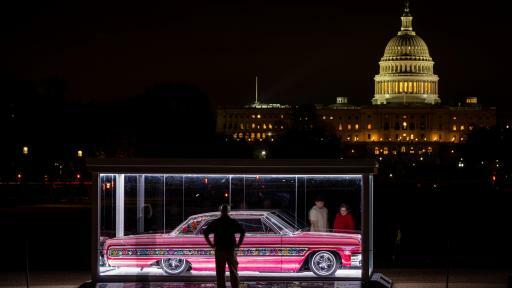 It’s all about the history of the car,” said Jim McNiel. To learn more about the Hirohata Merc, click here.